Every child deserves a gift at Christmas. And for those less fortunate, Santa Claus may never come. 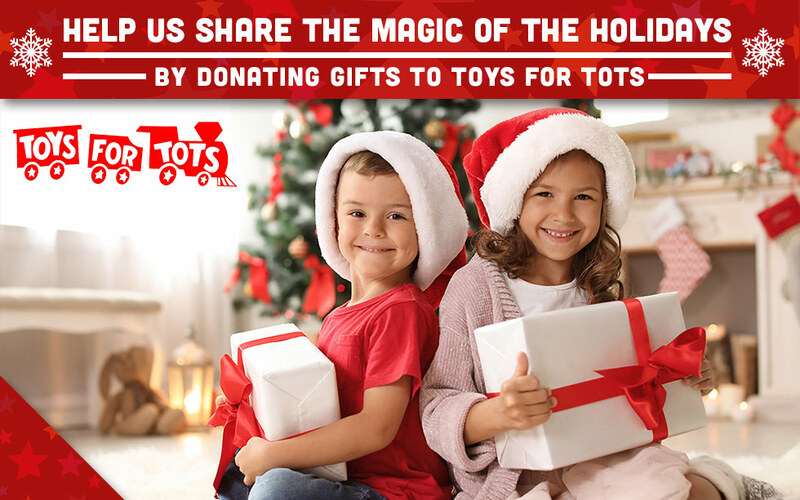 Delivering a message of hope to disadvantaged children across Chattanooga, Tennessee and surrounding areas, Crown Automotive Group has partnered with Toys For Tots to help children experience the joy of Christmas. The U.S. Marine Corps Reserve Toys for Tots Program promises not only to provide new toys to the children around the Greater Chattanooga Area, but to utilize the funds collected in local toy stores in and around the Greater Chattanooga Area. Through the gift of giving, help us bring a little light to the children in our area that need it most. In advance, we thank you for your generous donations and support.